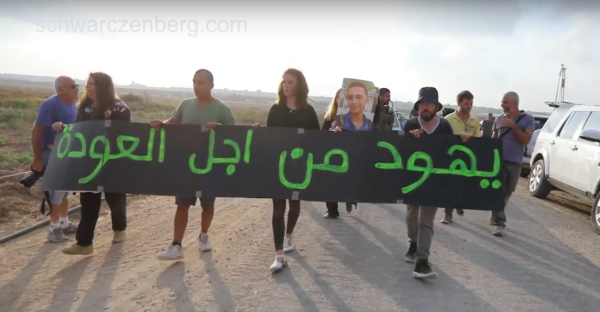 On Friday August 3rd, “Return”, a group of Israeli and international anti-Zionist activists, including activists from the International Solidarity Movement, protested on the east side of the Gaza fence, in solidarity with the Great March of Return. 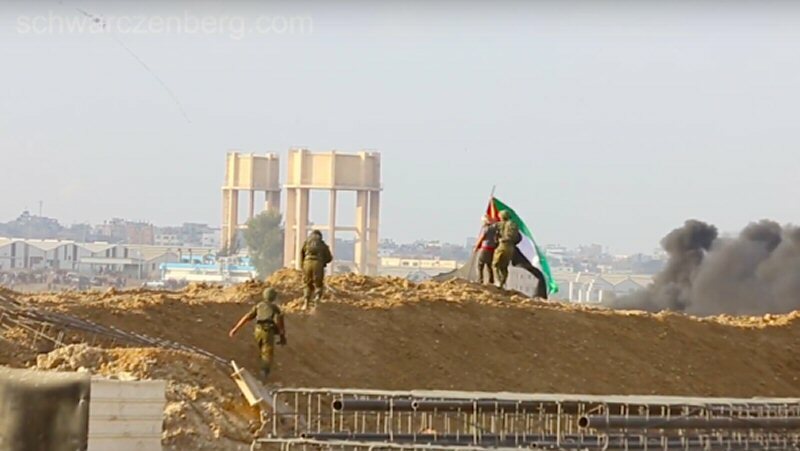 They raised the Palestinian flag so that demonstrators in besieged Gaza could see it. They also carried a banner in Arabic, reading “Jews for Return”. 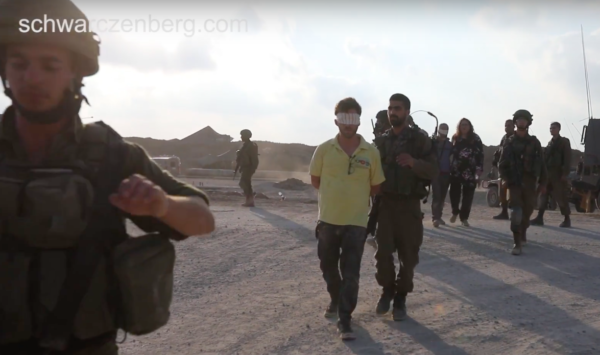 The Israeli and international demonstrators were assaulted and arrested by the Israeli military and police. Hours later they were released from the Netivot police station. At the same time, one Palestinian demonstrator was reported to have been killed by the Israeli military and 220 injured, many from live ammunition. According to health officials in Gaza, this brings the number of slain protestors to at least 153 and injured to more than 16,000 since the weekly protests began on March 30.